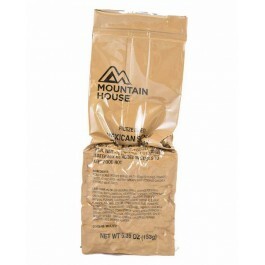 Mountain House LRP's were made for the United States Special Forces. 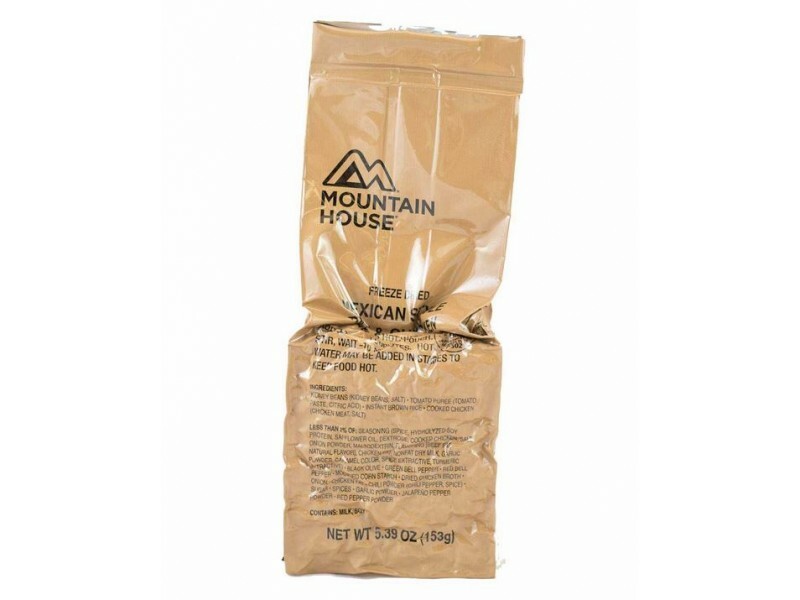 With a three year shelf life from date of manufacture, these military rations would make a perfect addition to your bug-out-bag or any outdoor adventure. Made with rice beans and pieces of real chicken, with tomato, peppers and olives. A hearty, spicy meal made for elite anyone in extreme conditions. 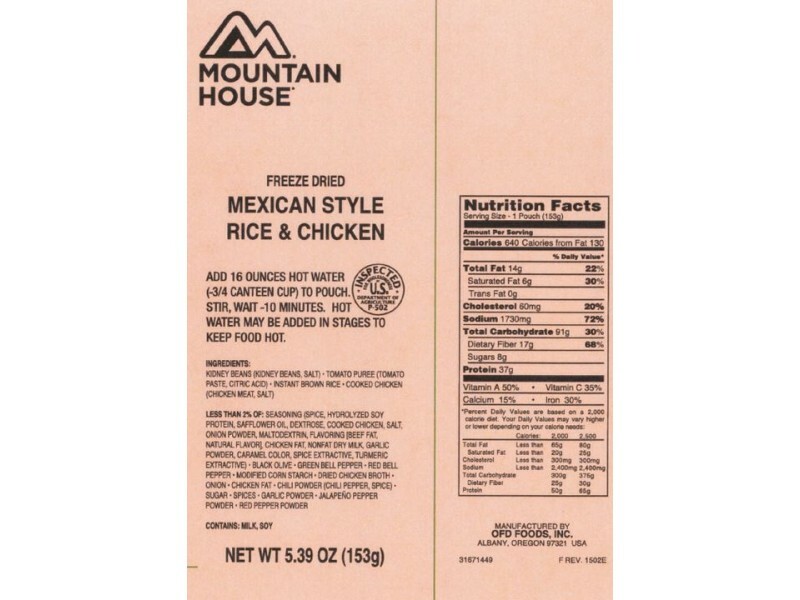 This Mountain House Meal-Cold Weather entree contains 640 calories and 37 grams of protein.